After the intelligence gene, the faith gene… here’s the empathy gene ! A recent publication has been hailed by the media as the proof that empathy has a genetic origin. 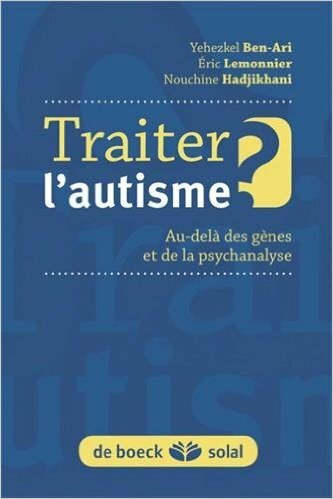 It is unfortunate that journalists do not bother to read scientific articles properly and learn about the limitations of what is shown in this article as in others that suggest that autism is genetic at 15-25%, schizophrenia at X% etc. Most often they are correlations, and incidentally the authors are cautious in their conclusions. This article shows that in the systematic search for genetic deviations -Genome-wide association study or GWAS- no locus reached the statistical significance with respect to the degree of empathy measured except for one, TMEM132C, which has a modest but statistically significant correlation. The proof of its importance is that women have more of it than men and autistics less than non-autistic: as one would say, the fact that women are more empathic than men and autistic less is not exactly a discovery. More seriously, we have no idea what this “genetic deviation” implies: what protein? how does it affect empathy? autism or schizophrenia?All this comes from the current fashion of laying everything the genetics’ door, even when the evidences are weak. It should be remembered that separating the genetics from the environment is absurd for anyone studying brain maturation where they take action in series and not in parallel. There are no automatic links between a mutation – a gene, a protein – and a disease in the overwhelming majority of diseases – except those referred to as mono-genes, and even in these the relations are equivocal as to the severity of the disease and its occurrence (see Huntington’s disease or type 1 diabetes). In addition, the therapeutic implications of these observations (on autism, for example) are almost non-existent. Our therapeutic advances come from a better understanding of the development of the disease and not from the identification of yet another mutation (several hundred in autism). In the case of autism, for example, the only ongoing phase 3 clinical trials are based on experimental pharmacological data and not the identification of specific mutations. In addition, a genetic mutation impacts the construction of the brain as an environmental insult and is translated by bad connections between neurons and it is these bad connections and not the mutation that ultimately will be the cause of the disease. In conclusion, we had the genetics of homosexuality, of faith, of intelligence, etc. We will have to accept that things are a little more complex, that we are formed during our life and are not only the sum of our genes!